The 2016 Volvo XC60 plays in a crowded field of midsize 2-row luxury SUVs. It comes with a new family of 4-cylinder engines, plus 5-cylinder and 6-cylinder choices if you want all-wheel drive. Beyond engine choices, there are advanced safety systems, Volvo's unique styling, and a sporty XC60 R-Design to separate this luxury SUV from the pack. Safety and beauty in one vehicle. The Volvo product line are well made, tech advanced, and very comfortable vehicles and the XC60 is no exception. It is beautiful on the outside and inside. All the controls are easy to reach and operate. The ride is smooth. This SUV rides like a sedan. It's roomy enough for 4 adults. My only complaint is the price of service, however this is my fourth Volvo so I was aware of this issue. I feel protected and comfortable and have vowed to always have a Volvo in my garage. It is a safe and reliable car, while in an accident less than 50 mph, my car did not move out of its lane into more traffic. I like the safety features of the car, including the backup camera and blind spot monitoring. I like the power in the motor, it has the ability to get up and go real fast when you need it. The eco function is a little annoying, you can feel the car start and stop when its in use. This function could have been designed a bit better, I usually end up turning it off. 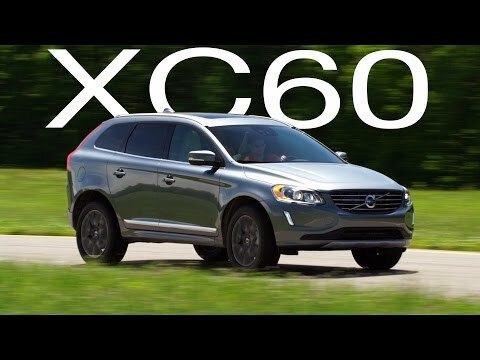 Xc60: if Subaru and BMW had a baby. Very comfortable, great options and performance for the price and compared to other SUVs I looked at like the Jeep s, you get more for your money. Feels very safe driving and has great safety features. Does have poor gas mileage compared to other small SUVs like the CR-V. Low maintenance and good warranty. Volvo Car USA LLC (Volvo) is recalling certain model year 2016-2017 XC90, S90, XC60, V60 Cross Country, V60, S60 Cross Country, S60, and S60 Inscription vehicles manufactured February 16, 2015, to August 22, 2016. On the affected vehicles, the front passenger seat belt buckle attaching stud may loosen, allowing the buckle to separate from the seat belt bracket. As such, these vehicles fail to comply with the requirements of Federal Motor Vehicle Safety Standard (FMVSS) number 210, "Seat Belt Assembly Anchorages" and number 209, "Seat Belt Assemblies." Volvo Cars of North America, LLC. (Volvo) is recalling certain model year 2016 Volvo S60, V60, V60CC, XC60, XC70, and S80 vehicles manufactured April 8, 2015 to August 19, 2015. In certain driving conditions when using the automatic engine stop/start function, the starter motor fuse may blow, preventing the car from restarting when necessary. If the vehicle is unexpectedly unable to be started in the middle of traffic, such as when stopped at an intersection, there is an increased risk of a crash. Volvo will notify owners, and dealers will replace the existing starter motor fuse with a higher amperage fuse, free of charge. The recall began on October 26, 2015. Owners may contact Volvo customer service at 1-800-458-1552 or by visiting http://volvo.custhelp.com. Volvo's number for this recall is R39574.